Johannesburg - Unsecured lending could help lift the SA economy which is projected to grow by less than a percent in 2017, suggests a researcher. According to research whereby Roelof Botha, an economic adviser to PricewaterhouseCoopers, and Ilse Botha from the University of Johannesburg, conducted an econometric analysis in 2014, they determined that there was a positive relationship between growth in unsecured lending and the rate at which South Africa's economy recovered from the 2008/09 recession. “Debt is not bad if you can pay it back,” said Botha, who spoke to Fin24 by phone on Tuesday. “So many South Africans do not apply for loans because they cannot meet the requirements. Unsecured lending makes it more affordable to lend,” he said. Botha explained that there are some “caveats” that need to be considered. In the case of a borrower who needs funding for housing, the lender needs to conduct a due risk assessment to make sure that the borrower does have a source of income to be able to repay the loan. Botha said that the lender should consider the household income and not only that of the individual. “The expenses and revenue streams should be shared in the household,” said Botha. Other income streams could include an old age grant or child support grant. Botha proposed that government also do its part to provide a subsidy for housing. The government should take advantage of its investment grade status while it still has it, said Botha. “If government can get its act together, it can borrow money cheaply by issuing bonds to the international capital market,” he said. Through the money government borrows, it can subsidise housing for individuals. If an individual therefore needs to fund a house of R100 000, it can borrow R50 000 from the lender and government can subsidise the remaining R50 000, Botha proposed. Professor Jannie Rossouw, head of the School of Economic and Business Sciences at Wits University, said that unsecured loans could help drive economic growth by boosting consumer expenditure. But people should be in a position to repay their loans, he explained. 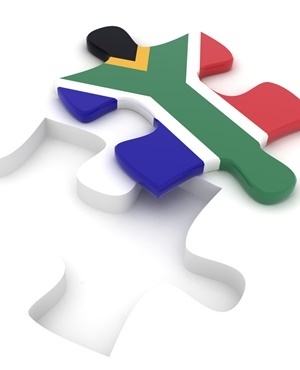 Fin24 reached out the five major banks to find out what offerings they have for consumers. Capitec Bank offers unsecured credit to eligible applicants at the same costs as secured loans. It measures creditworthiness through a “rigorous review” of a person’s financial behaviour which allows it to make credit offers at interest rates tailored to a person’s needs and credit profile. Among the factors measured include a person’s disposable income and cash flow, their spending and saving behaviour, lifestyle choices and income streams. “Lower risk applicants who bank smartly can qualify for unsecured loans of up to R250 000 over 84 months at interest rates as low as 12.9% or prime +3,” Capitec said in a statement. FNB said across both its secured and unsecured lending products, its interest rates are personalised and based on a customer’s individual risk profile and behaviour. Interest rates could be as low as prime (currently 10.25%) or less for the lowest risk customers. Products include overdrafts, credit card limits, and unsecured loans. Nedbank’s offerings include personal loans of up to R250 000, student loans, overdrafts and credit cards. Rates are personalised to a client’s risk profile. Rates for unsecured loans are higher than for those of secured loans, such as a home loan or vehicle loan. “Nedbank ensures that at all times the client’s affordability is key to ensure responsible lending,” the bank said. Standard Bank’s personal loans are offered at interest rates based on the customer’s risk profile. The bank uses information from the credit bureau and internal information related to the conduct of accounts held with the bank. Standard Bank’s rates range between prime and prime plus 17.5% (27.75%) based on prescriptions by the National Credit Act. ABSA’s offerings include personal loans, overdrafts and a study loan, among others. For most of the offerings applicants have to earn a minimum of R2 000 per month to qualify. Rates are risk based. Rates for student loans however are at prime. For instant loans between R250 to R5 000, applicants should earn a regular monthly income of R250 or more. For express loans between R1 500 and R8 000 applicants are expected to earn at least R1 500 per month. Express loans are offered at 5% for the first time the loan is taken or 3% if the loan is taken in the same calendar year.